After the shock of encountering the T-34 in late 1941, Hitler ordered the development of a similar tank in the 30-ton class. He ordered the MAN design into production on 14 May 1942, with factory lines beginning work in December. The Führer demanded that 250 be ready for his summer 1943 offensive on the Russian Front. Though the Panther’s combat debut at Kursk in mid-1943 was a failure, with many vehicles breaking down before they got into action, once the teething problems had been ironed out it became one of the finest tanks of the war. Very fast and manoeuvrable, the Panther incorporated interleaved road wheels with torsion-bar suspension, well-sloped hull and turret, a rear engine and front drive. The long 75mm KwK42 L/70 gun was mounted in an external, curved gun mantlet with an accompanying coaxial machine gun. The turret sides and rear also featured pistol ports. The Ausf D entered production in January 1943, with the first vehicles being allocated to units in February. In April 1943, however, deliveries stopped and all vehicles were recalled for major modifications. Then, in May, the 51st and 52nd Tank Battalions received Panthers (mostly Ausf D) and saw action at the Battle of Kursk in July 1943. 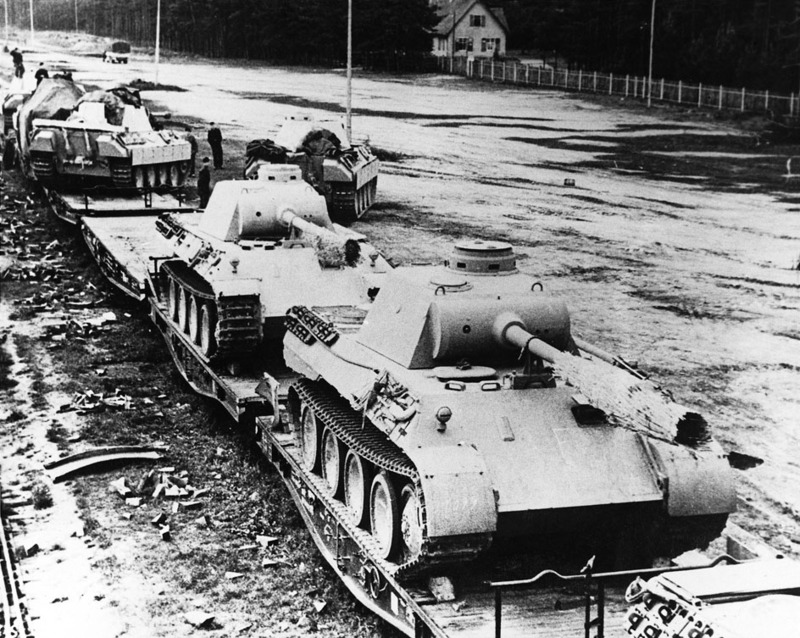 The 23rd and 26th Independent Panzer Regiments received Ausf Ds, as did the élite Waffen-SS divisions.